After months on the trail from California’s Fort Tejon, Samuel Bishop and 23 volunteers mount 20 camels and a couple mules at one in the morning, taking off from Paiute Spring in Nevada for the Colorado River. 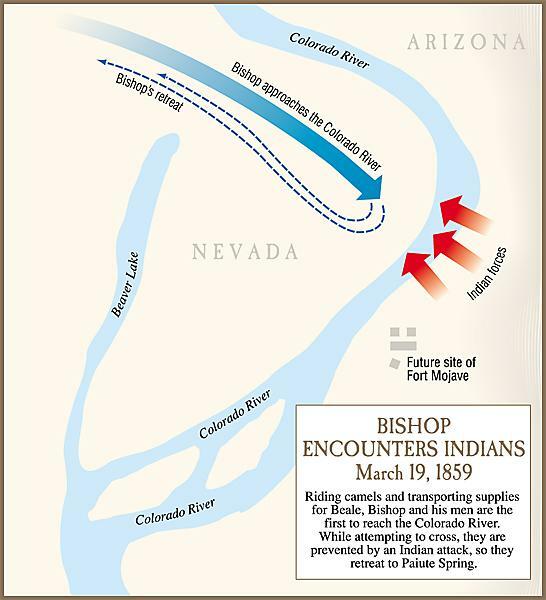 Up ahead, along the banks of the Colorado River, are a combined force of 1,800 Mojaves, Yumans and Paiute warriors determined to stop the advance by Bishop and his crew. 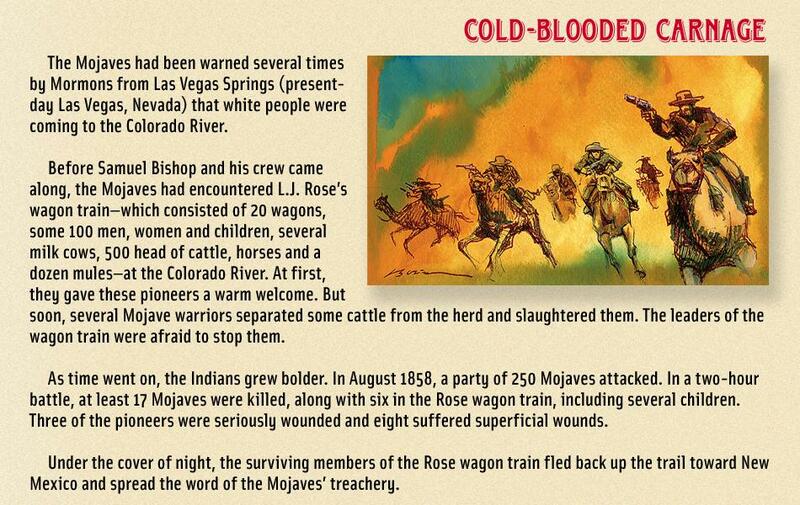 Bishop warns his “beardless boys” that they are facing odds of 50 to 1 in favor of their Indian adversaries, since reloading their rifles or pistols on the dead run will be near impossible. Their only hope, Bishop tells them, is that the Mojaves view camels as slow moving pack animals; they have never witnessed a charging line of camels. Arriving at the edge of Beaver Lake, Bishop and his charges dismount and rest. They soon see an estimated 500 warriors cross the river and move toward them in a tight formation, 400 yards wide and completely blocking the path to the river. None of the boys with Bishop have prior military experience, but they are all proficient with their weapons. The camels rest in a kneeling position, enjoying a snack of fresh, young mesquite leaves. Their Arab trainer, Hadji “Hi Jolly” Ali moves around them, whispering to each one in Arabic. After a short speech, Bishop barks, “Mount!” as he climbs into the saddle of Seid, Lt. Edward F. Beale’s favorite white camel. Hi Jolly mounts the camel next to Bishop. 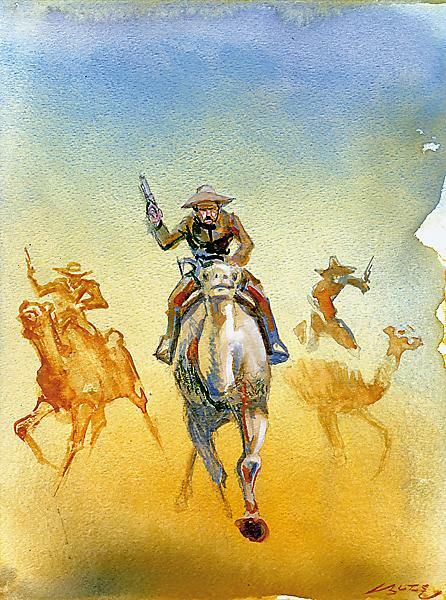 As the others also mount their camels and mules, Hi Jolly barks an Arabic command and all the camels stand as one. Hi Jolly issues another command, and the camels move into four rows, five in each row, side by side, six feet apart. Seid springs forward as all the camels bust out of the brush along the lake and begin a loping roll across the flatland. At first, all the Mojaves see is a large dust cloud, but soon enough, the red beasts charge out of the dust, hitting their stride at more than 40 miles an hour. The boys’ shouts are muffled by the thunder of camel hooves plowing up the earth. Pistol shots ring out. Finally realizing the terrible wall coming toward them, the Mojaves and their allies begin to scatter, bug-eyed and frightened. The oncoming camels smash right through the Mojave lines and keep on running. Bishop shoots a glance over his shoulder and smiles. All the camels have a rider; none of his boys have fallen. Nearing the river, Bishop turns Seid to the left and races parallel to the river, heading north, leaving all the Mojaves far behind. Of all the tribes in the Americas, perhaps the tallest were the Mojaves, who tended to be over six feet tall. 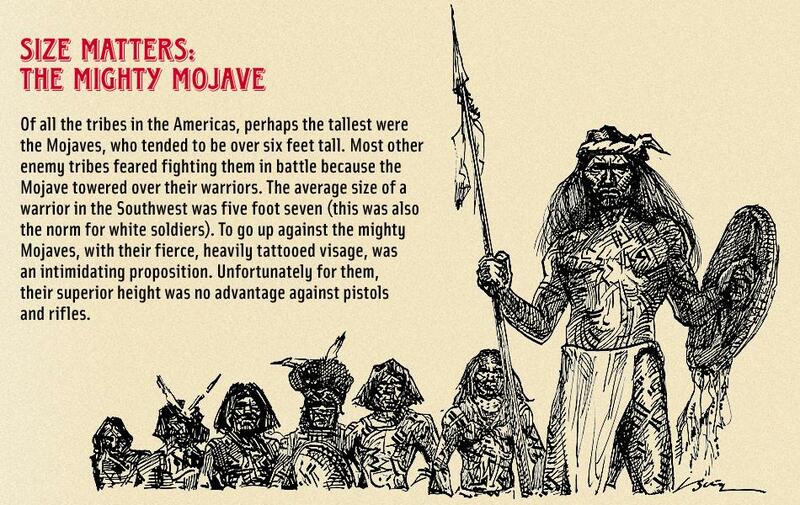 Most other enemy tribes feared fighting them in battle because the Mojave towered over their warriors. 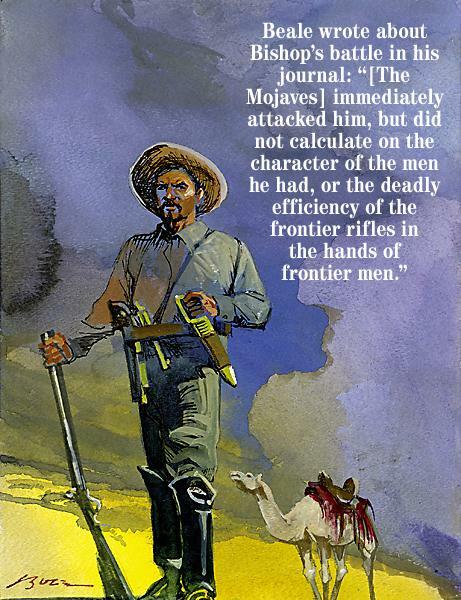 The average size of a warrior in the Southwest was five foot seven (this was also the norm for white soldiers). To go up against the mighty Mojaves, with their fierce, heavily tattooed visage, was an intimidating proposition. Unfortunately for them, their superior height was no advantage against pistols and rifles. 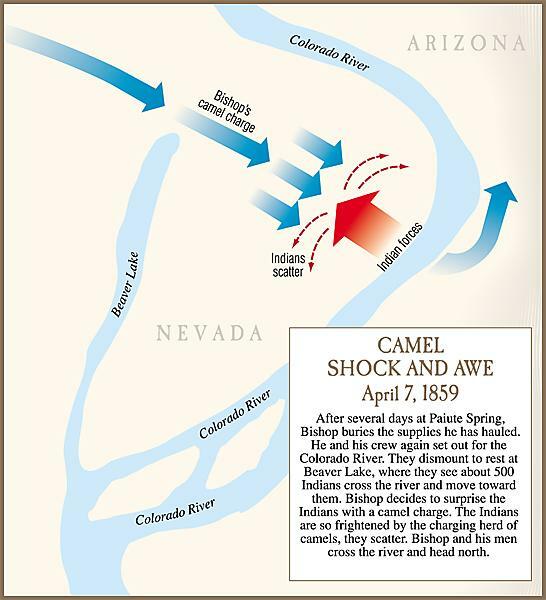 Samuel Bishop and his camel crew successfully crossed the Colorado River and traveled east on the Beale Road for 14 days, covering 290 miles until they encountered Lt. Edward Beale and a large party heading west near the San Francisco Mountains (near present-day Flagstaff, Arizona). 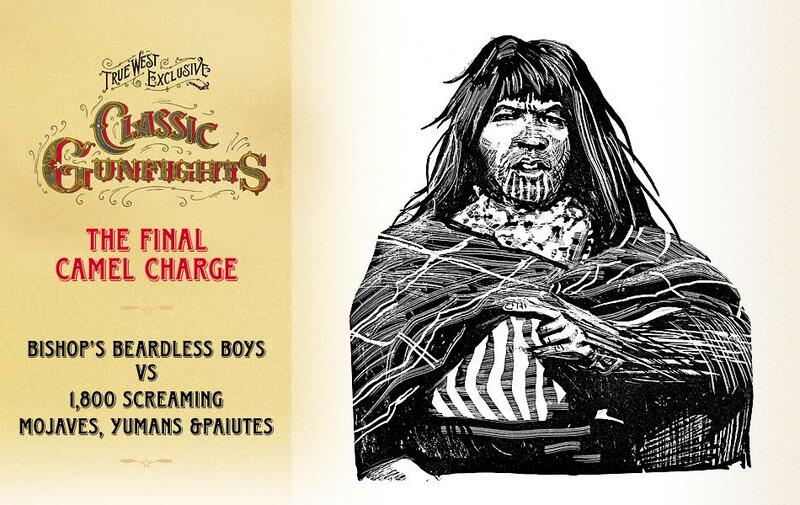 Major William Hoffman and his troops arrived at Beale’s Crossing on April 20, 1859, and a powwow was held to discuss a peace treaty on April 23. 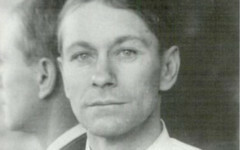 The Mojaves agreed to the terms, and Hoffman returned to Fort Yuma. 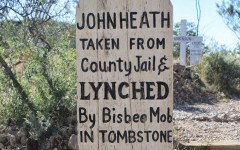 He left behind two companies of 6th Infantry to build and occupy a post that would become Fort Mojave. 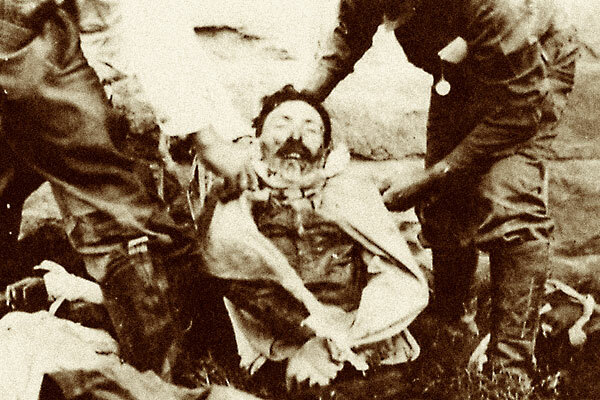 Independent groups of Mojaves raided settlements through July 1859, but in August, 50 U.S. troopers defeated a large force of Mojaves, killing more than 50. The Mojaves surrendered and, as an organized tribe, never fought the white man again. After the camel charge, Bishop retired to his Tejon Ranch (Beale went on to buy it in 1866), then moved on to other parts of California, eventually partnering up with others in constructing a trolley line for San Jose, the city where he died in 1893. Bishop, near the northern end of Owens Valley, is named in his honor. At first, few white people settled on Mojave land; even as late as the 1950s, less than 100 whites lived between Bullhead City and Parker in Arizona. But with the 1960s came exploding growth. Today, the same region is infested with some 123,000 white “illegal” immigrants. 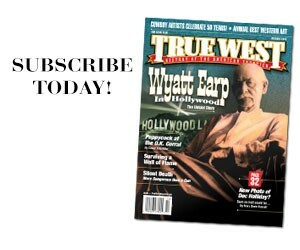 The Mojave shaman turned out to be correct. 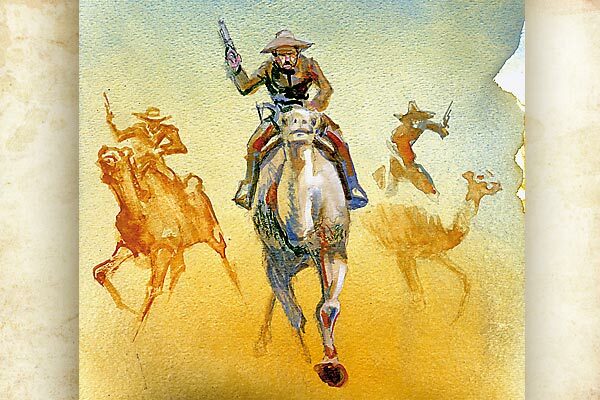 Recommended: The Last Camel Charge: The Untold Story of America’s Desert Military Experiment by Forrest Bryant Johnson, published by Berkley. 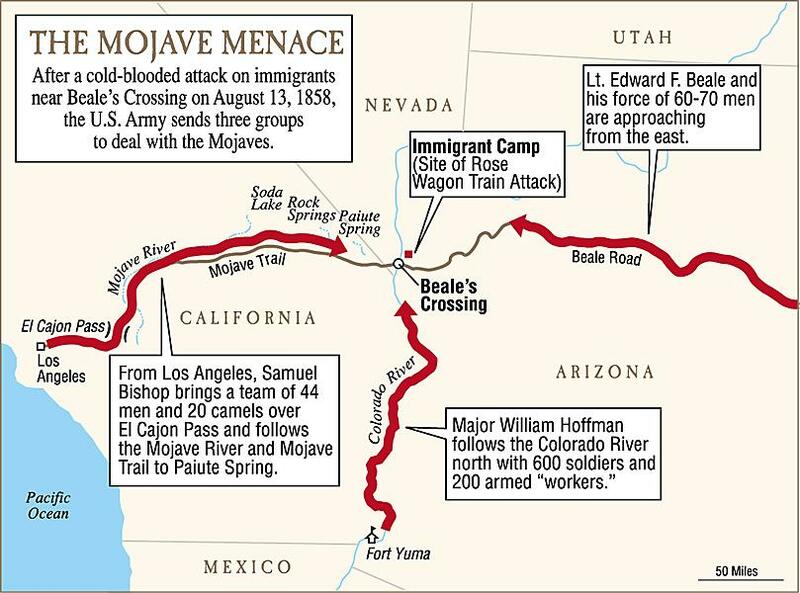 After the brutal slaughter of members of the Rose wagon train, the U.S. government built Fort Mojave at Beale’s Crossing to protect immigrants. Shared here is one of the earliest military photographs taken in Arizona, and it shows Capt. 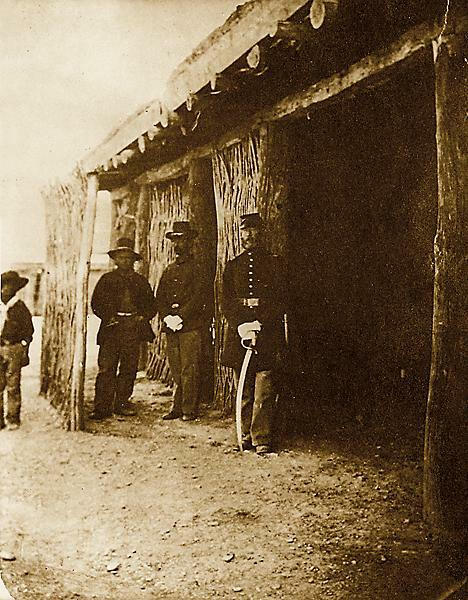 Charles Atchison (posing with his sword), his orderly and his clerk at the officer headquarters of the crudely built fort (notice the latticing, which appears to be ocotillo branches). Samuel Bishop, on Seid, leads the charge. While Lt. Edward F. Beale attempted to build a military road from the Fort Smith, Arkansas, end, Samuel Bishop (shown here with his camel, Seid) built easterly from California’s Fort Tejon; both utilized camels for their desert work. 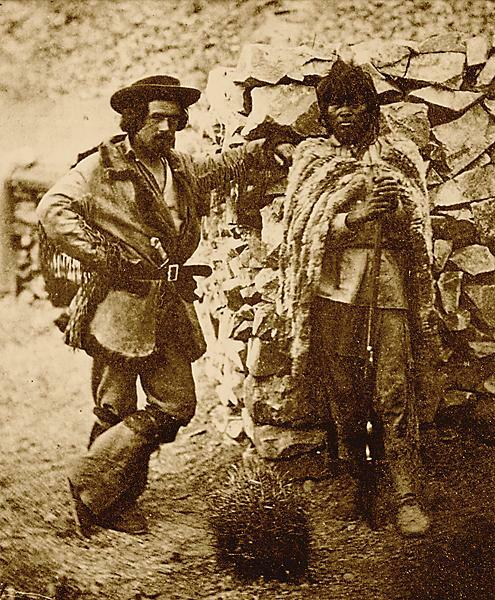 A Paiute chief, Tercherum, poses with frontiersman John Moss at Fort Mojave four years after the camel charge. Hellfire & Hot Tamales Dave Allison, et al. vs. Pascual Orozco Jr., et al.